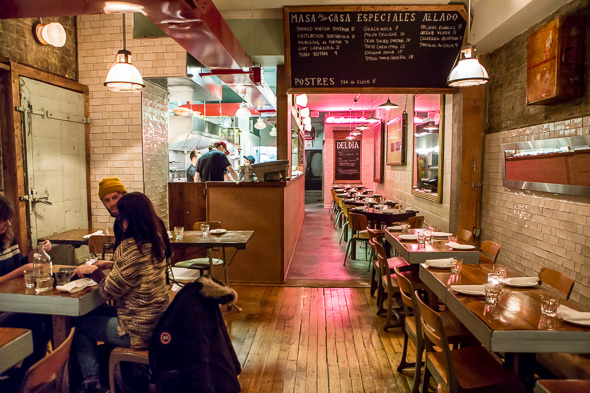 Cafeteria is the seventh member of the Playa Cabana family of restaurants. It's inspired by the homestyle Mexican diners that arose 200 years ago when the first coffee plantations opened in Oaxaca. 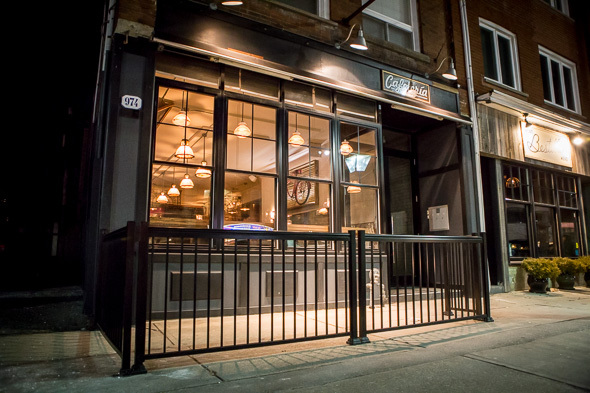 The new 60-seat eatery takes over the address of Black Skirt and applies the signature Playa Cabana look; distressed finishes, school chairs, chalkboard menus and the occasional antique including 200 year old gates from Argentina. 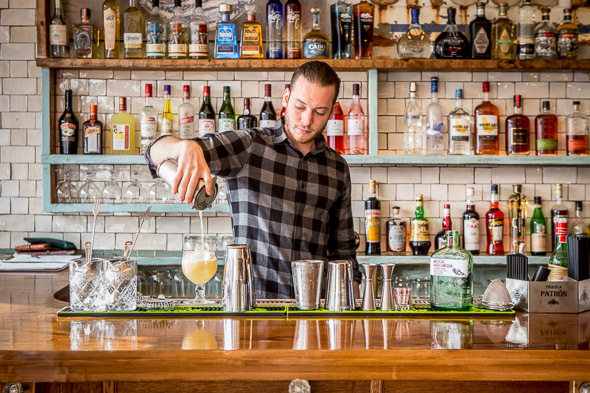 The bar is well-stocked with tequilas and mezcals while a brief cocktail list advertises concoctions by the glass or fish bowl. 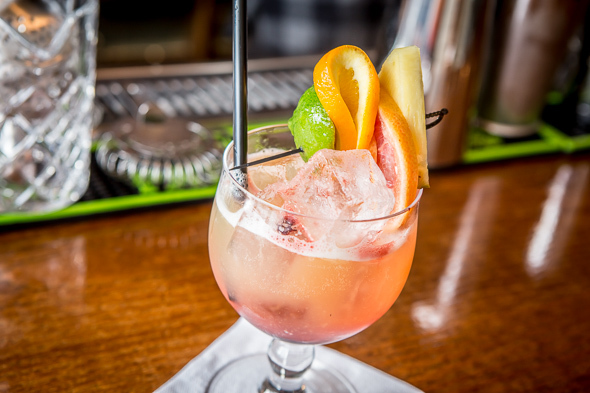 The Agua Loca ($12) is one such beverage, a tropical refreshment featuring a blend of white and dark rums with maraschino liqueur and lime, guava and pineapple juices. In the kitchen, chef de cuisine Lucas Perez (formerly of Enoteca Sociale , Patria and El Catrin ) joins executive chef and owner, Dave Sidhu. They're making taco shells from scratch here, undergoing the arduous process of grinding blue, white and yellow maize to create masa for freshly pressed tortillas that can be had loaded with things like smoked venison, goat garnacha and huarache de tinga. 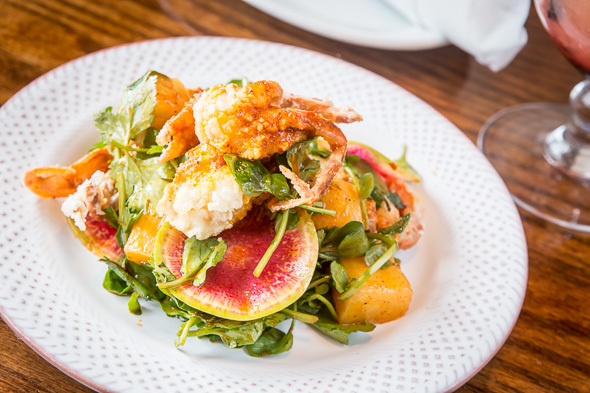 Aside from tacos, you'll find crab salad pastor ($14); a battered and deep fried soft shell crab over watercress and watermelon radish, tart raw pineapple and and ultra sweet seared pineapple all dressed in axiote, guajillo and pineapple vinaigrette. 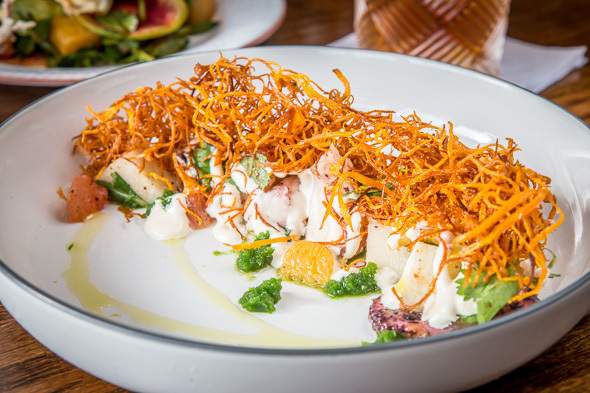 Next there's Pulpo Ceviche ($16) a liberal take on the term "ceviche" that sees tentacles served Veracruzano-style poached in red wine with chipotle peppers, chilled and then tossed in a flavour-amplifying shrimp and chipotle dust. Quick pickled jicama and citrus supremes brighten it up, while serrano chili relish, coconut habenero and sweet potato hay add crunchy and creamy components. Steak tampiquena ($18) is like the Delmonico steak of Meixco made famous by the Tampico Club. 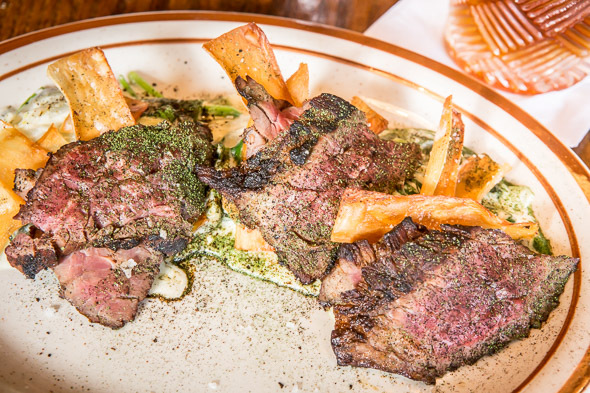 Traditionally a skirt steak, it's sliced to show off a deep pink centre, blessed with a hit of epazote and burnt chili dust and accompanied by rajas con crema , milk-braised spinach topped with crispy yucca chips. Like the other Playa Cabana establishments, expect this restaurant to be hotbed of tequila-fuelled activity at night. Unique to this location will be the daytime service (set to launch in the spring), a casual diner-like experience where coffee will be just as common as cocktails.